Turner, Pierce and Fultz strives to be the best choice for everyone, so we offer simpler selections in our Economy Store, located just west of our main store. 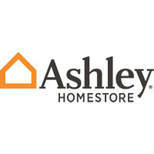 Come in and experience Ashley & Coaster Fine Furniture and Serta mattresses. We strive to provide the very best at all price points to turn your house into a home. If you see something you like, please call our Economy Store at (936) 825-6433. Contact our Economy Store for more information.